At our Board of Governors meetings, new and innovative LA “Companies on the Cusp” have been regularly featured. This incredible group of entrepreneurs, inventors and mavericks are changing the landscape of LA’s economy and, in one or two cases, quite possibly the world’s. Learn more about these exciting companies below. 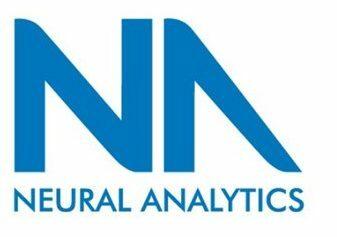 Based in Los Angeles, Neural Analytics designs and builds mobile ultrasound systems that assist in diagnosis of brain injuries. This technology integrates ultrasound, robotics and machine learning to assist clinicians to non-invasively monitor a patient’s brain blood flow characteristics and provide actionable information to diagnose a variety of neurological disorders. View the presentation Neural Analytics shared with LAEDC’s Board of Governors. Based in El Segundo, Phase Four’s plasma propulsion technology will be the keystone that enables satellite missions to achieve their full potential. View the presentation PhaseFour shared with LAEDC’s Board of Governors. Romeo Power is enabling large-scale sustainable transportation with the world’s most energy dense battery packs that deliver the power, range, and charge times people want at a price they can afford. View Romeo Power’s presentation at our Board of Governors meeting. Slingshot is a cutting-edge leader in providing the next generation of signal processing AI. Their solutions and geospatial insights allow customers worldwide to make valuable decisions utilizing Earth Observation data, the world’s largest untapped data source, and other ancillary data sources. View Slingshot’s Board of Governors presentation. 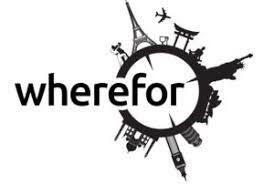 WhereFor is a next generation business travel booking system, built in partnership with the world’s largest company, that uses cutting edge AI, and compares dozens of sources, to plan and book the best business trip for your employees in seconds, shrinking your travel spend by at least 20% View WhereFor’s presentation at a recent Board of Governors Meeting. Do you want to get an up-close and personal look at these companies too? Contact Mark Nicholson to learn more about membership and our Board of Governors meetings.